The Sooke Salmon Enhancement Society held its annual fishing derby this weekend. A good time was had by all. 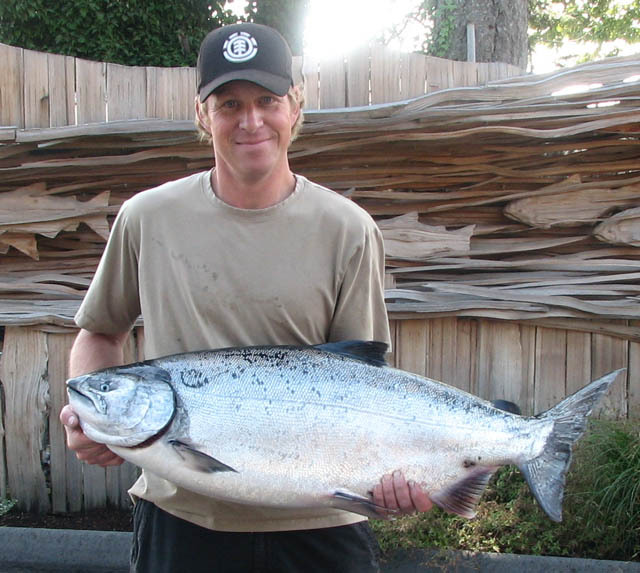 The winning fish was a 39.4 pounder caught at Sheringham Point, a new record for this derby. And a hatchery fish too! All in all the top 10 were all over 30 pounds, a nice sign of good things going on. Here's a photo of Donovan R and John B with #19 and #17. in the derby, caught in a double header at Otter Point. Lots of good fish caught at the Trap Shack. Below is a photo of Jamie with a 33 pounder, good for 7th place -- caught out front of Sooke Harbour, in the messy weather Saturday. 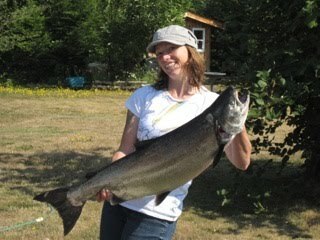 Tricia has a 23 pounder caught Sunday morning at Possession Point. The fishing was productive but not super busy. There are clearly fish out there, but some time and effort has to be put in. On the other hand, pinks are everywhere! 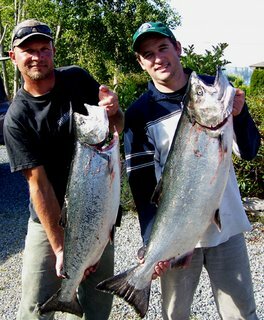 Bring lots of bait, as if you get into a school, it's difficult to keep gear in the water to chase spring salmon. 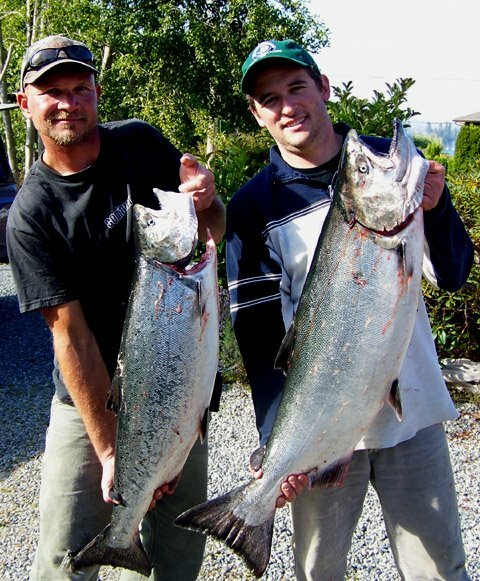 It is definitely worth getting out there...Sooke fishing is pretty good right now, peak season!